Today would have been my grandfather Bull’s 100th birthday. Raymond Eldren Bull was born on May 8th 1914 in Parkton, Baltimore County, Maryland to Samuel Jacob (Jake) Bull and Beulah Idell (Ida) Schaeffer. Raymond was the 7th of Jake and Ida’s nine children. In the above picture, Raymond is sitting on the step. Sitting in the chair on the porch is Jake’s father John Thomas Bull. In the rocker is Raymond’s brother Herman Paul Bull and sister Dorothy Pauline Bull. As a child Raymond earned the nickname “Spigs” because that is how he pronounced the word “pigs”. 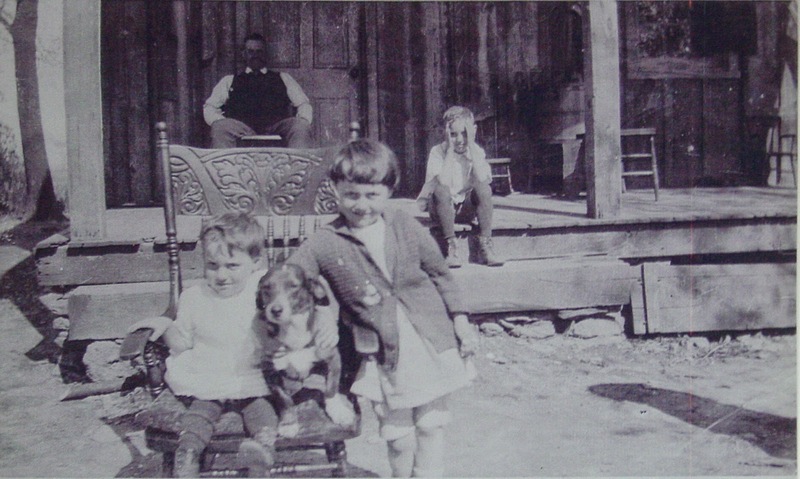 After the death of his mother in 1921, some of the younger Bull children were raised by other family members. Raymond went to live with his older brother Kenneth Elridge Bull. 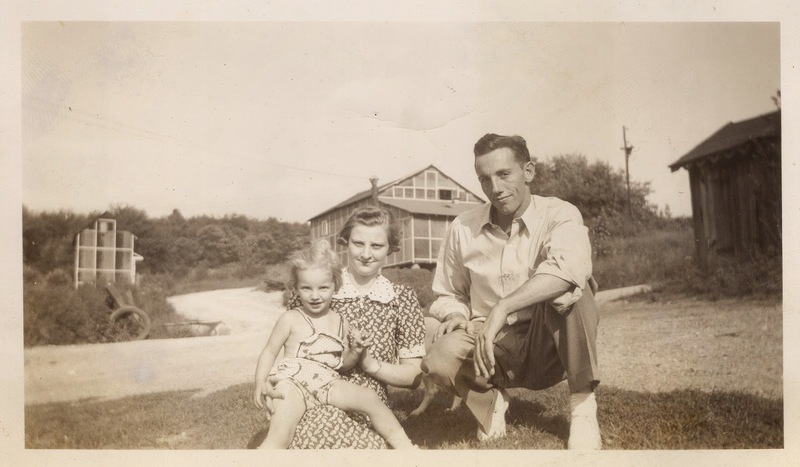 Raymond married Margaret Adeline Pisani on 5 Aug 1937 in Cookesville, Howard County, Maryland. At the time they were expecting their first child, Charles Louis Bull who was born on 21 Nov 1937 and died on 27 Feb 1938. Raymond and Adelina had 3 more children, Ruth Lorraine, Margaret Ellen and Yvonne Louise. Ruth Lorraine, Adelina and Raymond. Please do not reproduce. Raymond and Adelina lived in Baltimore City, Maryland, then moving to White Hall, Baltimore County, Maryland. Raymond worked for the Baltimore Transit Company, as did several of his brothers, first driving streetcars and then buses in Baltimore City. In 1953, Raymond and Adelina bought about 7 acres in Beckleysville, Carroll County, Maryland at intersection of Beckleysville Road, Foreston Road and Gunpowder Road. The property included a general store which the Bulls operated. There were usually card games at the Bull house on Saturday nights. Saturday night card playing. Please do not reproduce. On 7 Dec 1959, Raymond was driving on Beckleysville Road with 4 other passengers when the car skidded on ice and snow and struck the abutment of Beckley’s bridge. Raymond and 3 others were killed in the accident. My mother was 15 years old when her father was killed so I never had a chance to meet my grandfather Bull. Because of that I never know what to call him. I mostly refer to him as “Raymond”. I only know him through stories from my mother and what I imply from pictures. Raymond only met 2 of his grandchildren, he had 7 more, plus 13 great-grandchildren. 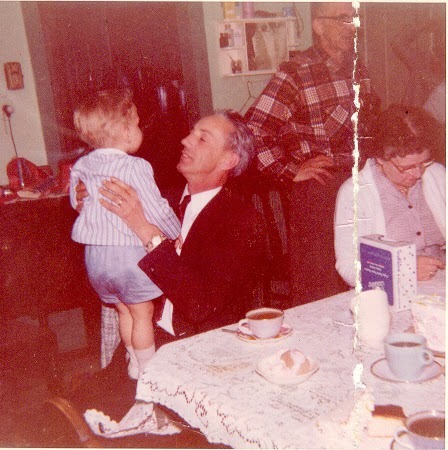 Raymond and grandson Leonard Samuel Hare Jr. Please do not reproduce. 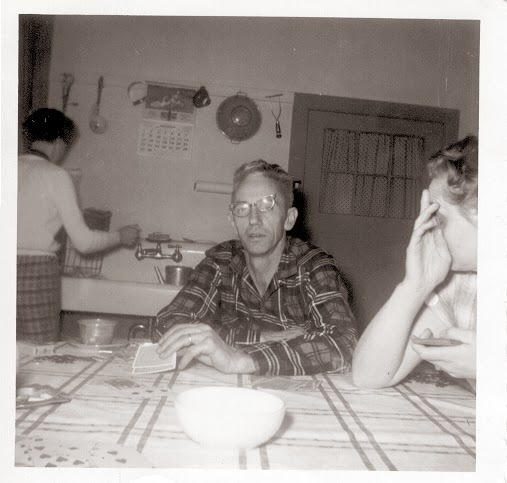 The above picture was on a roll of film that was not developed until June 1960, 6 months after Raymond’s death. Happy 100th birthday Raymond, I wish I had had the opportunity to meet you and know you better.